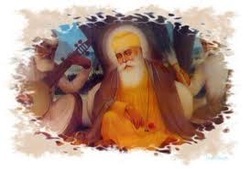 · Guru Govind Singh, the 10th Guru, told Pandit Prithwiraj that Khalsa sect was established to care for the economy, right behaviour, cows, Brahmins, and protection of the down-trodden. · Guru Govind Singh’s first Guru was against killing of any animal – not only cows. · In 1871, under the leadership of Guru Rama Singh, 3,15,000 Sikhs participated in an agitation against the British to get the slaughter houses closed.